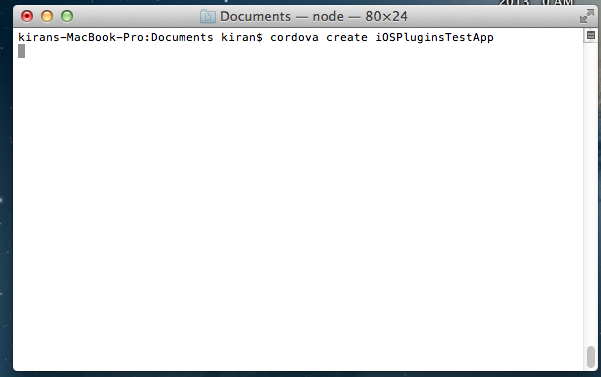 Coding Square: Adding Plugins to Cordova iOS Project. In one of the previous blogpost, we have created a Cordova iOS project, configured it on XCode and launched the app on the simulator. In this blogpost, we will add plugins to the iOS project. 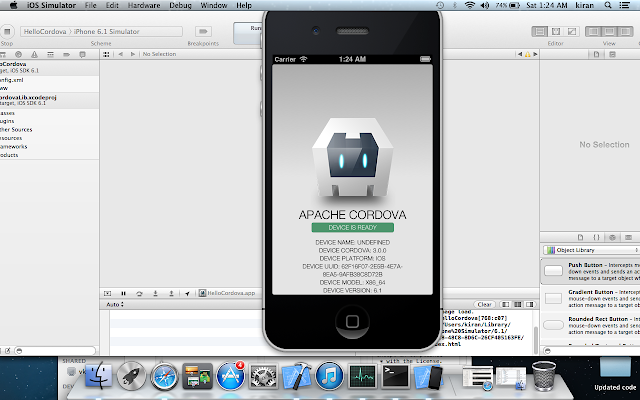 Similar to Android project, we will add one core plugin which was a part of Cordova core API's till previous releases. And then we will continue to add one third party plugin. 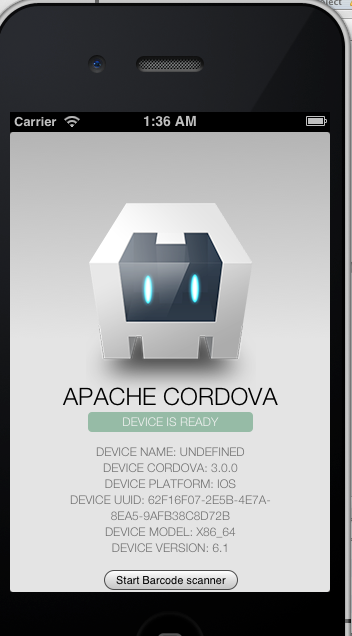 First we need to create a Cordova project following the steps from the previous blog. 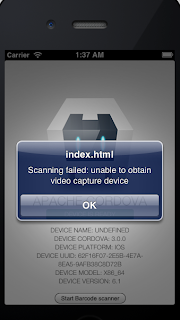 Now import this project into XCode, launch the emulator and see the device related changes in the app. It displays the information like cordova version, device platform, device model and the os on device correctly. Since Device name is depreciated don't worry about the undefined displayed. The lines of code that needs to be added are indicated in red. The other lines are already there, either from the project creation or from the previous modifications. We have added the bar code scanner plugin, added a button to trigger the barcode scanning and code to trigger the barcode scanner plugin up on clicking the button. Now we need to remove the existing iOS platform , add the iOS Platform again and then build the iOS project and the application again and launch it from XCode. We can see a button at the bottom of screen, which is created by us to trigger Barcode scanner functionality. the barcode scanner should be at work.